We all know silica poses a big threat to the health of landscaping crews. 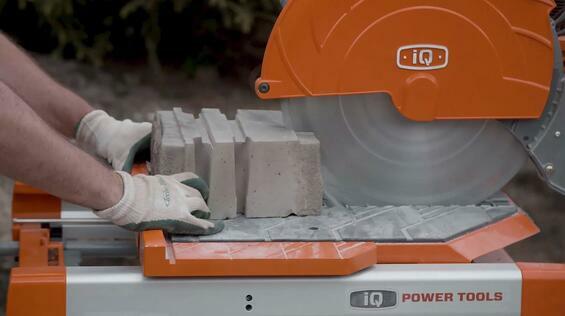 Ever since the new OSHA silica standard came out in the USA, landscapers have no choice to consider buying a masonry saw with a dust control option. However, which one is better: dry cutting with dust control, or wet cutting? 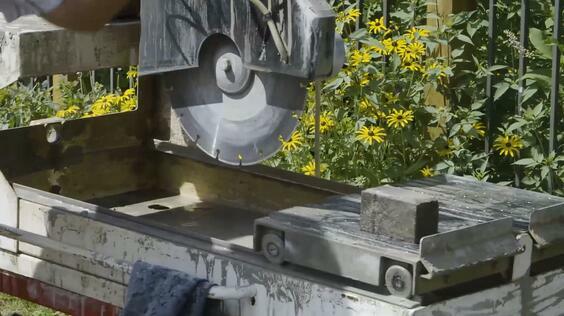 Wet cutting can be very messy, and the mess it causes can get you fined. It creates a lot of slurry that goes all over the product, the job site, and the worker who operates the masonry saw. Plus, managing water next to an electric cord is hazardous. 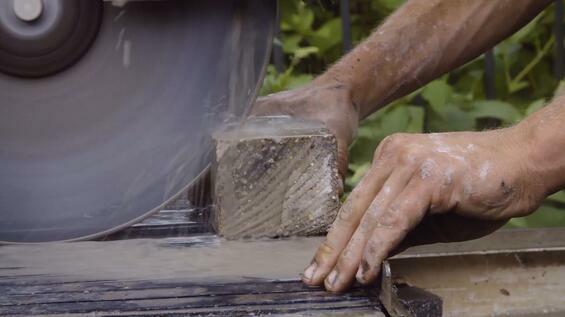 We believe wet cutting is not an alternative to dustless technology. 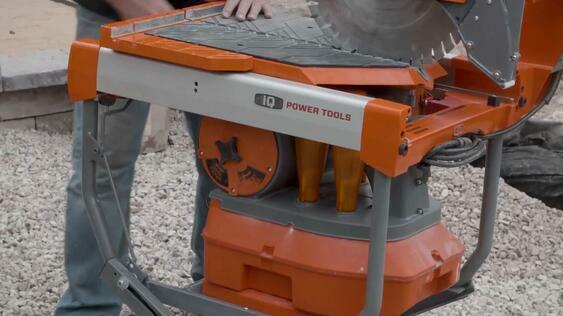 Since we were looking for a dry cut saw with dust control technology, iQ Power Tools provided us with their new iQMS362TM. 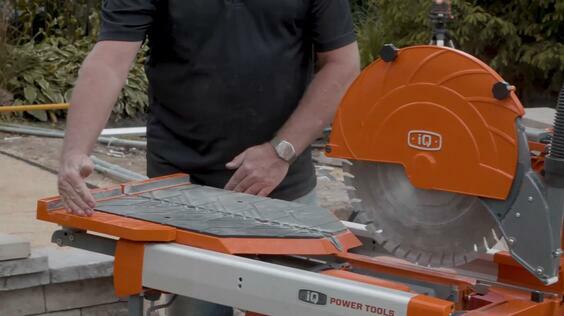 It’s a 16-inches masonry dry cut saw for hardscape and masonry. It does not require water and captures 99.5% of the dust, which is perfect specially for a permeable pavement project. Since the new OSHA silica standard went into effect in September 2017, it’s basically illegal to dry cut without dust control technology in the United States. 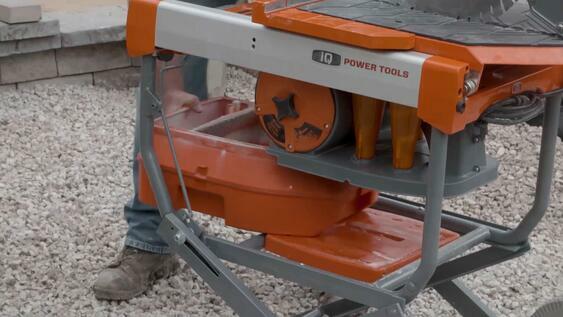 This masonry saw has an integrated vacuum system, a filter system and a dust containment. The dust accumulates into that dust collector containment. It only needs to be emptied at the end of the day. 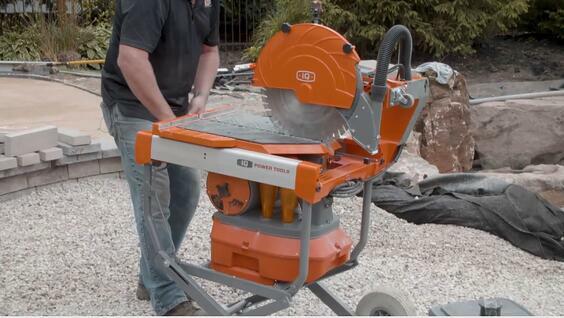 The saw can cut up to 24 inches long, 24-inches wide and 5 ¾ inches thick. A scoop catches the dust that comes up on the backside. The filter needs to be spun about once per hour. 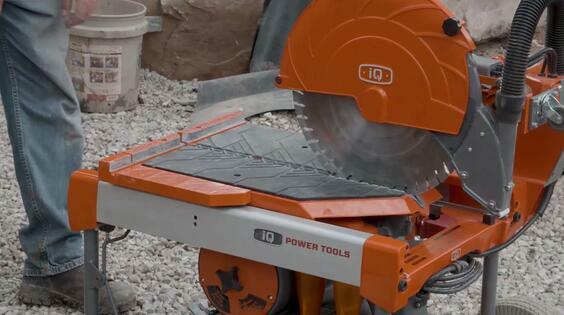 The saw is very compact and portable. A caster in the back allows to collapse it so it’s easy to wheel it around the job site or be brought into a garage or a trailer. Compress the handle and it goes down, permitting cuts from a kneeling position. Consider dustless technology to provide a safer and cleaner environment to your crew. WONDERING WHAT ARE ALL THE CONSTRUCTION TOOLS YOU NEED TO FACE ANY CHALLENGE THIS UPCOMING SEASON?